The Tacoma-Pierce County Board of Health is considering a secure medicine return regulation similar to those in Snohomish County and King County, which are preparing to implement programs in 2017. The Tacoma-Pierce County Board of Health will vote on the regulation Dec. 7, 2016 and seeks comments until then. 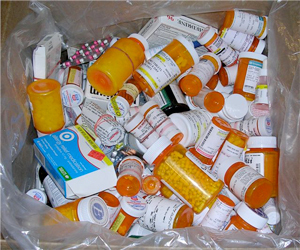 At its October annual meeting, the Washington State Medical Association adopted a resolution supporting medication return programs. The Oregon legislature is expected to consider a proposal to create a secure medicine return program in the 2017 legislative session. On Sept. 22, 2016, the Oregon House Interim Committee on Health Care heard a pharmaceutical extended producer responsibility (EPR) presentation from Margaret Shield, PhD, of Community Environmental Health Strategies. The stewardship organization of carpet manufacturers (Carpet America Recovery Effort or CARE) submitted its California Carpet Stewardship Plan 2017-2021 to CalRecycle. Submit comments via email on the new carpet stewardship plan by Nov. 14, 2016; a public meeting will be held Dec. 20, and the current plan expires Dec. 31, 2016. In the first six months of 2016, the LightRecycle Washington product stewardship program recycled 580,626 mercury-containing lamps weighing 271,202 pounds. LightRecycle is a manufacturer operated product stewardship program run by PCA Product Stewardship, a nonprofit, and overseen by the Washington Department of Ecology under the state's mercury lights law. LightRecycle allows individuals and businesses to recycle up to 10 mercury-containing lights per day at over 220 collection sites throughout Washington – find a location near you. Watch "STINK" for free through October! The award-winning documentary "STINK!" can be viewed for free online through October. "STINK!" follows the journey of Director Jon Whelan as he tries to uncover the truth about regulations in the chemical and cosmetics industry. Follow Jon through boardrooms, to back alleys, and the halls of Congress as he stumbles on a huge issue in America – which is that some products on our store shelves are not safe – by design. In January 2016, CalRecycle held a Manufacturers Challenge workshop to seek public commitments from product manufacturers and brand owners as to how they would voluntarily reduce the 8 million tons of packaging landfilled in California annually. Because the packaging industry "failed to offer up viable voluntary options to help the state significantly cut down the amount of packaging material going to disposal" CalRecycle is considering a "mandatory comprehensive, statewide packaging program." According to Resource Recycling's Sept. 14, 2016 article, rather than identify specific strategies or make proposals for financing, "most packaging stakeholders expressed a desire to continue the reliance on state and local funding" and said a goal of a 50% reduction of packaging going into landfill by 2020 was not possible. Participants at the Sustainable Packaging Coalition annual conference also discussed the topic. Resource Recycling also covered news of the workshop in January. The Washington Post published an extensive article "tracing the path from deadly hand-dug mines in Congo" to the lithium-ion batteries in our consumer electronics and its effects on health and the environment. A significant amount of plastic production is for single-­use disposable applications. Nearly a third of plastic packaging escapes collection systems and winds up in the oceans. Once there, sunlight and ocean currents shred plastic debris into smaller particles called microplastics, which attract and concentrate toxic chemicals up the marine food chain and into our bodies... It is clear that without strong and coordinated effort by policy makers, businesses will continue to use plastic indiscriminately and the pollution will intensify.